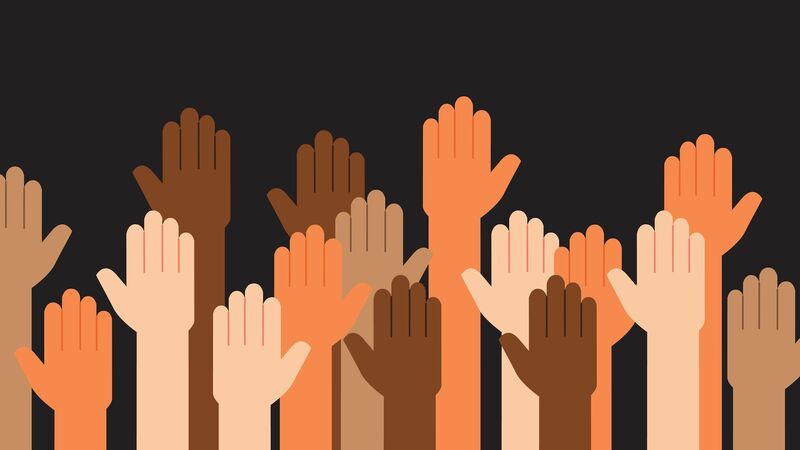 Faculty discussions on race and equity can get uncomfortable and emotional—and that's okay. If you’re a teacher leader, a coach, or an administrator who shares this commitment, I’m so glad. Our students need us to explore these issues. 1. Before the session: Give people an idea of what’s coming. Share the agenda ahead of time clarifying what will happen and why. Maybe require pre-work (such as reading an article or a chapter from a book, watching a movie, or reflecting on their own lives and teaching practice). What comes up for you when thinking about exploring issues of equity? What hopes and fears do you have about this session? What do you need to help you engage deeply in this conversation? Ask participants to show up having done all they can to take care of themselves so that they can be fully present. Remind them that there’ll be no downtime to take care of business (so no computers needed), but perhaps let them know you’ll have snacks. If possible, co-design and co-facilitate this session. You can do this alone, but it will be easier with someone else. 2. Be super prepared. Planning for a PD session often takes me two or three hours for every one hour of delivery. When the content can spark a lot of emotion, it takes me even more time to think through every detail. Know what’s going to happen, do your homework on the content, and think through everything that could happen. If you are super prepared, you’ll also feel more confident—and the combination will cultivate trust in you from those who attend this session. 3. Open the session by inviting people to reflect on what they’ll need in order to feel comfortable. You might also share some comments from the survey, but anonymously. Please remember that these sessions will be harder for people of color. That’s the topic of another post. For right now, please be aware of the race dynamics in the group you’ll facilitate. 4. Ask people to take responsibility for themselves. Ask them to reflect on what they can do that day—and during the session—to help them feel safe, comfortable, and open. 5. Let people know there’ll be follow-up. Additionally, let them know you’re available to debrief after if anything comes up that they want to talk more about. 6. Let people know that expressions of emotion are okay. Suggest that we don’t need to be freaked out by anyone’s emotions and that people also express emotions differently. 7. Enter this conversation with an acute awareness of who you are as a teacher, coach, or leader as it relates to your gender and racial identity. Who you are matters a great deal in this conversation. Reflecting on your privileges, history, and identity are essential before leading these conversations. 8. Build community by sharing a poem or another written piece. Choose something that provokes reflection and is connected to the topic. You can also offer a selection of quotes to read together or a brief reading to discuss. For sessions on equity, I love the poem Shared Words, Shared Worlds by Naomi Shihab Nye. This passage by Margaret Wheatley, Willing to be Disturbed, is also a powerful, provocative way to open these conversations. 9. Know that as a facilitator, you are still a learner and you’ll make mistakes. You might even say things you later wish that you hadn’t. You might unintentionally hurt people’s feelings. You can learn, and you can improve. Don’t let your fears hold you back from having conversations about equity. Manage your own feelings. And at the same time, as a facilitator, know that you are responsible for having done all the preparation you can and for being as ready as possible. If you make mistakes, that's okay. From those mistakes, reflect on your learnings and be open and grateful for any feedback. 10. Gather feedback (anonymous or not) at the end of the session. Follow up with anyone who wants to, and let people know what will come of the session. Perhaps there might be some kind of additional learning or inquiry into the experience. Or it may inspire a discussion in the classroom. Or perhaps policy or curriculum might change. Hopefully the conversations lead to change in experience and outcomes for children—especially for our children who have been historically underserved in our schools. If nothing else, don’t let fear hold you back. Please have conversations about race and equity and teaching and learning. Manage your own discomfort. Don’t panic or shy away if others get uncomfortable. Trust in the process. Trust that this conversation (even if it gets hard) is worth having and that you’ll learn and grow from it as well.